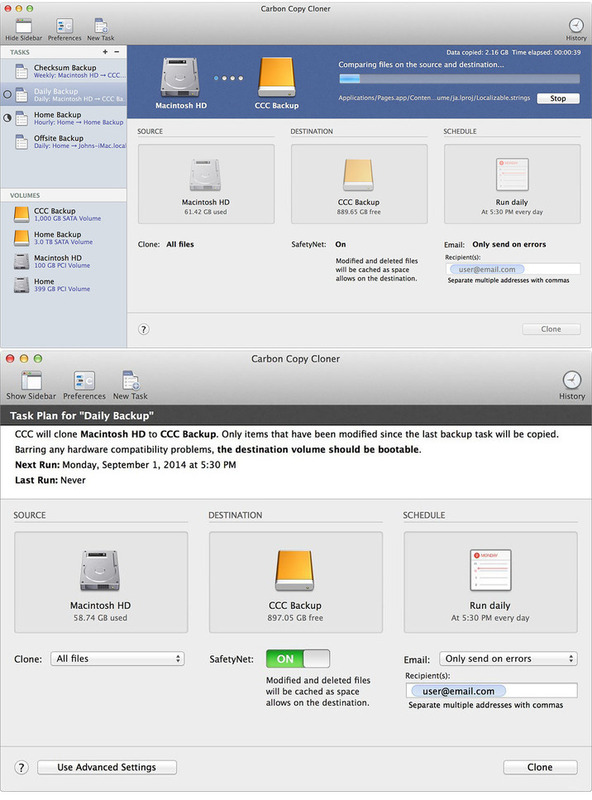 Carbon Copy Cloner is a reliable and easy-to-use solution for Mac users that need to quickly backup their system and take advantage of the benefits which the bootable recovery has to offer. By using Carbon Copy Cloner, you are not just making ordinary system backups that require the use of another hard disk in case the current one fails. Thanks to Carbon Copy Cloner, all your data along with the operating system’s data are stored on a bootable volume that can be instantly used. Consequently, you can boot from your backup if your hard disk fails and return to your work and projects in a matter of seconds. This features, gives you time to replace the damaged drive at your convenience and restore all your data in one easy step. From Carbon Copy Cloner’s main window, you can quickly select the source and destination volume, select the files you want to include or exclude from the backup and even customize the backup process. Carbon Copy Cloner allows you to create multiple backup profiles and decide what happens with folders and files that are present only on the destination and with the files that have been modified since the last backup. In addition, you can prune archived content before copying files and constantly keep a certain amount of free space on the backup drive. More experienced users can also access the Advanced Settings window and enable options such as “Run the deletion pass on the destination before copying new files”, “Replace a folder on the destination if the source item is not a folder” or “Calculate a checksum for every compared file” and “ Remove files on the destination that I have excluded from the backup”. As mentioned earlier, you can backup to hard drives, network drives and disk images and use subsequent backups and copy only the items that have been changes since the last backup. 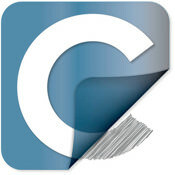 In a nutshell, Carbon Copy Cloner is a powerful backup tool that allows you to schedule backup tasks on a hourly, daily, weekly or monthly basis, and is also capable of sending email notifications when a backup is complete or if errors occur during the backup process. ・Addressed an issue in which task history events weren't getting recorded for a subset of backup tasks. ・Improved the performance of CCC's archive pruning utility. ・Fixed an issue in which CCC may not have presented a dialog to update the HFS+ Recovery HD volume on the destination when the source is an APFS volume. ・Fixed a window resizing issue affecting the "New disk image" Save panel for High Sierra users. ・Fixed issue affecting Yosemite users in which custom filters in the Task Filter window were hidden despite the custom filter table being shown. ・Fixed an issue in which the setting to skip weekend days was getting disabled for tasks configured to run on a daily or weekly basis.